Product Consists : Shiny White Diamonds Studded in Anchor Shape Pair with Rose Gold Color Anchor Shape Pendant along with Rose Gold Color Chain in the Box. On this Mothers Day take a moment to send your mother a unique lovable gift that will remind her of how much you love her. Warm wishes for a Happy Mothers Day. But, instead, I will say a happy prayer that we are here together to celebrate this Mothers Day. 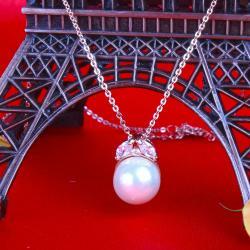 Have a look at this exceptional gifts collection brought to you by Giftacrossindia that is perfect to be gifted to your mom on occasion of Mothers Day. 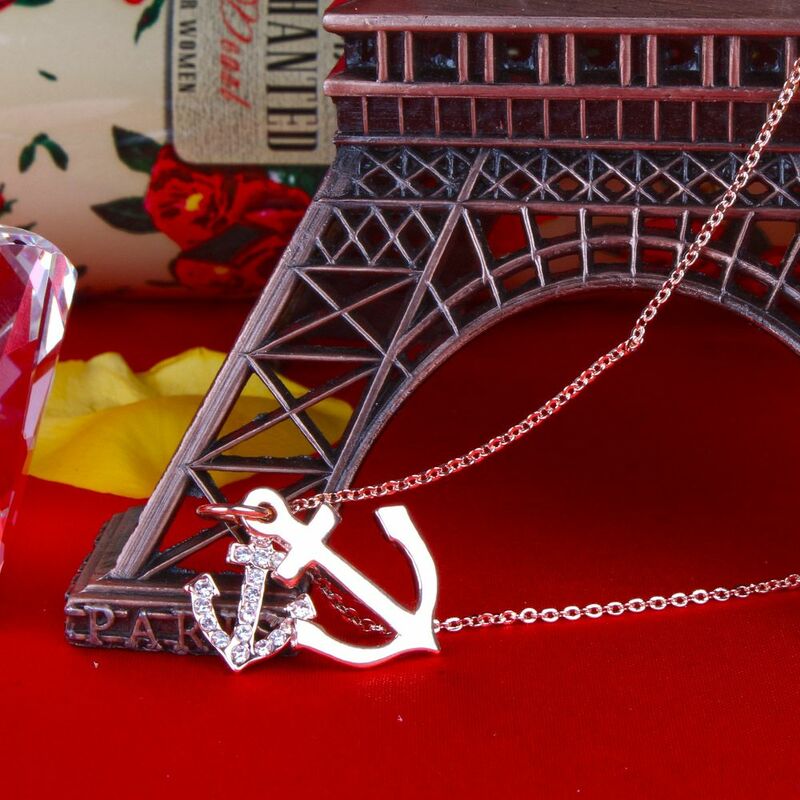 Here we present a very exclusive fashion accessory like anchor shape pendant with chain. Anchor is symbol of strong hold and helps to stay striate. 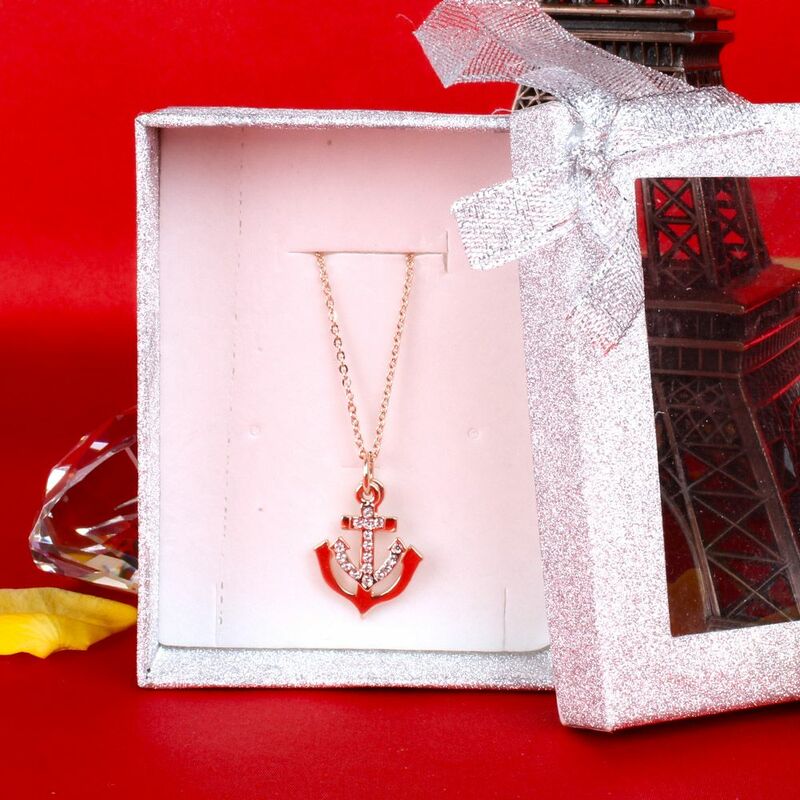 Express your long time love and caring which realized you for you mother, deep ocean of love this special Anchor gift pendant will hold her strongly. 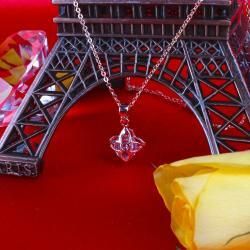 This pendant comes in rose gold color, which is looks so amazing with shiny diamonds. So, book your order now. 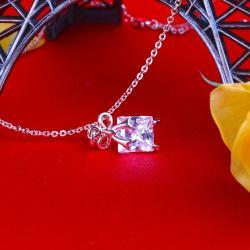 Product Includes: Shiny White Diamonds Studded in Anchor Shape Pair with Rose Gold Color Anchor Shape Pendant along with Rose Gold Color Chain in the Box.